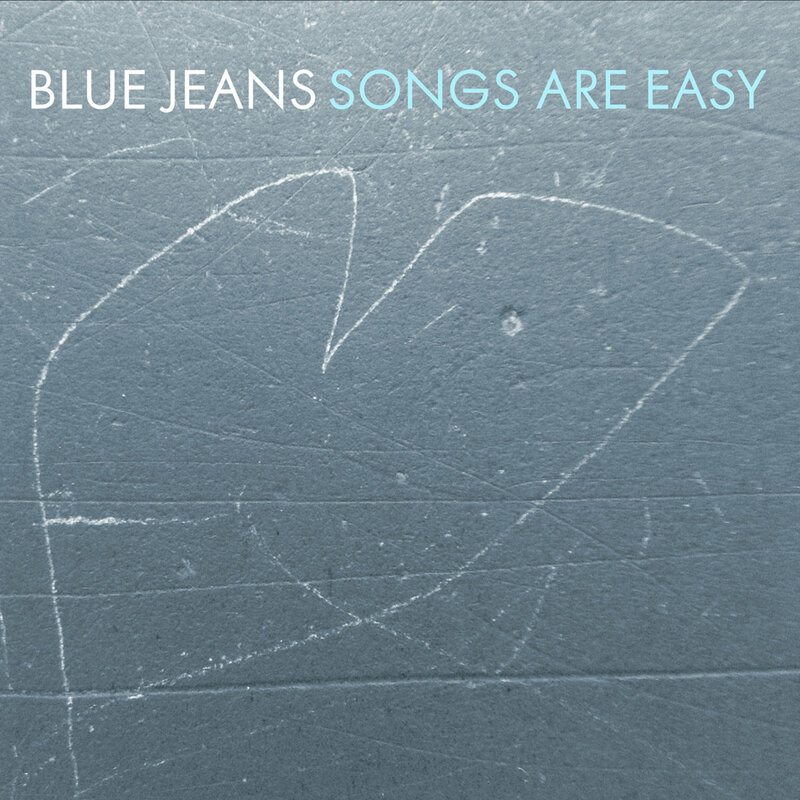 Blue Jeans may be taunting me with the title of their new album -- Songs Are Easy. Maybe creating catchy songs is easy for Tim Sendra, Heather Phares, David Serra, and Justin Dykehouse, with Fred Thomas (Saturday Looks Good To Me) at the engineering controls and playing a few instruments, while most of us can only watch with envy. But I'm not a guy who is going to dwell on my own deficiencies, and certainly not when such a great set of summer songs is available. Kicking off with a pop-smeared J&MC style "Kara Keely", and then sliding into the indie romp "Ratz Revenge", which in turn is followed by the perfect bubblegum rock of "Make Up ll Make Up", this album shouldered its way into my "take anywhere" list. It now resides on my home computer, my phone, my laptop, and my car's CD player. The songs are concise, sweet - even cute, with some touches of bratty attitude, '60s sensibilities, and surf rock flair. Male and female vocals tell the stories and the rhythm section keeps the party bouncing along at a brisk pace. The album is over in about a half hour, and then you press "replay". It likely will happen without thinking. Don't worry, you aren't alone. The bottom line is that many folks waste time that could be better spent soaking sunshine, making out, or downing beers just trying to make a good summer playlist. Tim, Heather and company have hacked the problem -- just get Songs Are Easy and get on with your summer. Songs Are Easy is out now in digital and CD formats via Jigsaw Records. By the way, Blue Jeans formerly was known as Santa Monica Swim and Dive Club. In the early '90s, Tim Sendra was a member of Veronica Lake.